In just five minutes, identify what truly makes you happy. 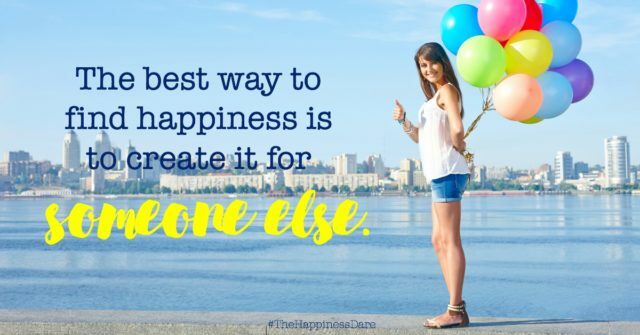 Discover your Happiness Style and life motto! 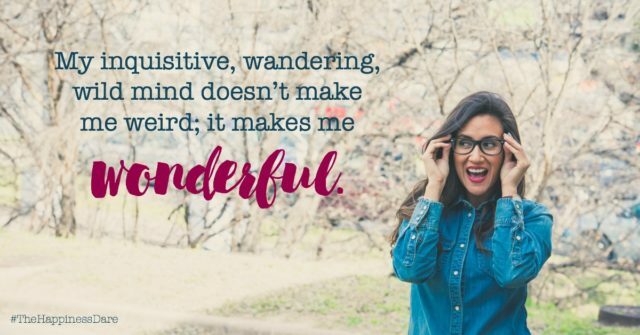 Jennifer Dukes Lee has good news for anyone who’s ever secretly, longingly (even guiltily) dreamed of being happier: It’s okay to want to be happy. God cares about your happiness; He created it as a sweet spot, a gift, and something you can faithfully, freely pursue. And He’s daring you to trust Him enough to discover it. Want to read Chapter 1? Sign up for my newsletter, and I will send Chapter 1 FREE, straight to your inbox. By signing up, you will receive occasional emails from me. You may unsubscribe at any time. I promise to never give away your email address to anyone. Ever. If you’ve ever wondered if God really cares about your happiness, this book is for you. Within these pages, Jennifer shows us how to live out a “holy pursuit of happiness” and personalizes this with an eye-opening assessment you can take to find out what happiness style you naturally flourish in. I can’t say enough good things about The Happiness Dare! Jennifer Dukes Lee’s insightful and engaging words share not only the how of happiness but also the heart of it. More than just helpful information, The Happiness Dare lays out a path to spiritual and emotional transformation. As someone for whom happiness doesn’t come naturally or easily, I wish I’d had this book years ago. Jennifer grabbed my attention on every page with her thoughtful and thought-provoking words on what happiness looks and feels like. This book will inspire you to let your guard down so you’ll be empowered to experience the life-changing and God-given happiness found throughout every season and circumstance. I was so blessed and challenged by reading this book. It spoke to me at a deep level and inspired me to embark on my own Happiness Dare! Thank you, Jennifer, for inspiring us all to boycott cynicism and wring the delight out of the ordinary days. In all of our striving for happiness, could it really be that God wants us to be happy too? 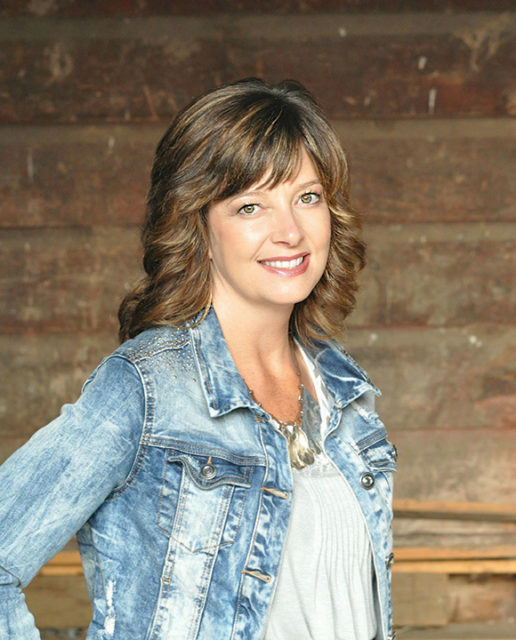 In The Happiness Dare, Jennifer Dukes Lee helps us discover a truth a lot of us have been missing and dares us to boldly walk in the freedom God intended for us all along. I absolutely loved this book! 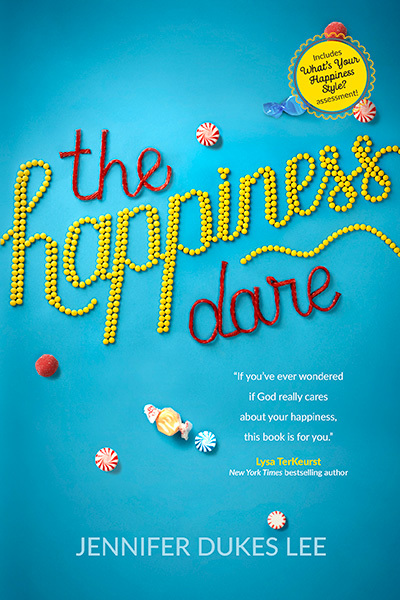 In The Happiness Dare, Jennifer invites every kind of reader to find happiness and the God who created it. She not only reveals the beautifully Biblical case for “happy holiness” but she invites us beyond theory and into the living. Happiness—it’s that elusive destination our culture seeks at all costs. And often when we finally grasp the slippery emotion, it’s fleeting. In The Happiness Dare, Jennifer unpacks the journey to a truly happy life found in Christ instead of our feelings. It’s practical, it’s encouraging, it’s a dare we should all take! I highly recommend this book. 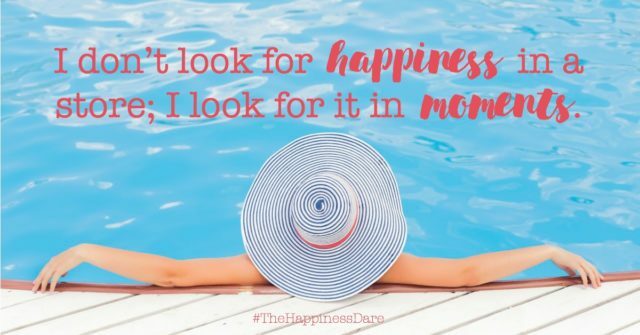 The Happiness Dare is so much more than a book. Jennifer has created an insightful, fun, wise, and encouraging life-guide to help us become the best version of ourselves by living in our God-given sweet spot. Packed with powerful stories, tools, and everything you need to discover your personal happiness style, you’re in for a treat. Get rid of the guilt and get ready to enjoy the way God made you! With her familiar warmth and wisdom, Jennifer Dukes Lee has written a captivating book that will transform the way you think about happiness. Combining biblical truth and brilliant storytelling, she answers all of the questions I have privately wondered about happiness, revealing how it beautifully intersects with joy and holiness in the Christian life. 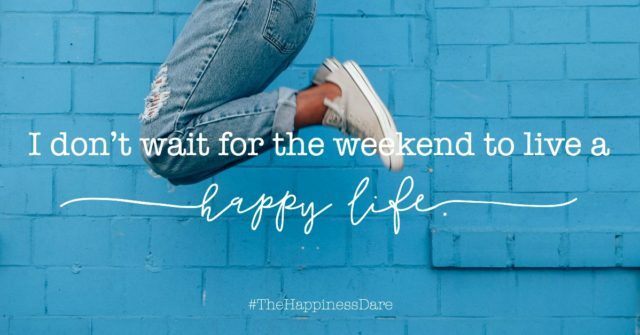 You don’t want to miss The Happiness Dare. It will have you doing your own happy dance. As I read The Happiness Dare, I kept repeating one sentence to myself about its author: Wow, she really gets me. Jennifer is a most insightful and trustworthy writer, and I connected with this book in a way I’ve connected with few others. Not only is The Happiness Dare the best kind of medicine for any woman who fears happiness is unattainable or unholy; reading it is just plain fun. Pick up this engaging book and discover your own sweet spot of happiness: where your earthly pleasure meets heavenly joy. Did you know that you have a happiness style? 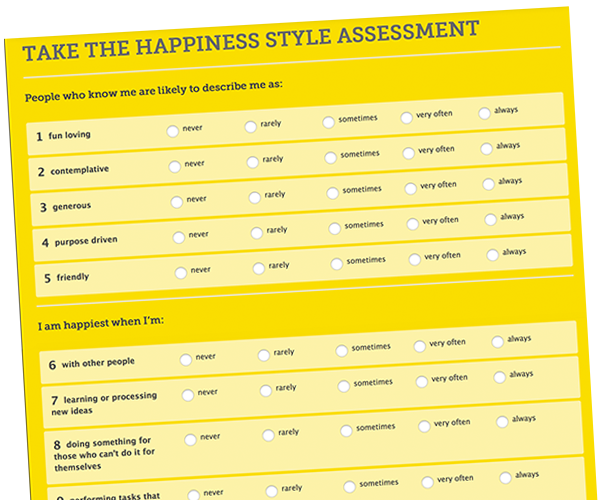 Take this assessment, and in five minutes, find out what truly makes you happy. Sign up to get 10 days of happiness dares in your inbox. You’ve taken the dare. The good news? Your happy ride is just beginning! and we want to celebrate happiness with you. 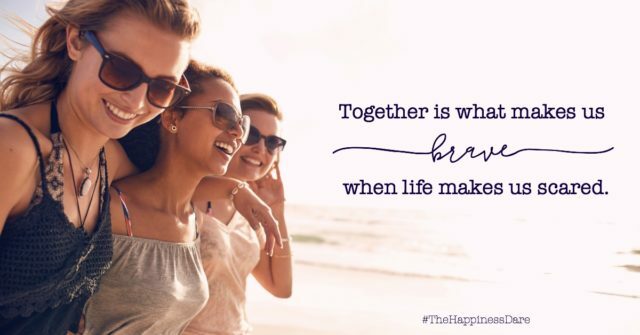 Join us by using #TheHappinessDare on social media.